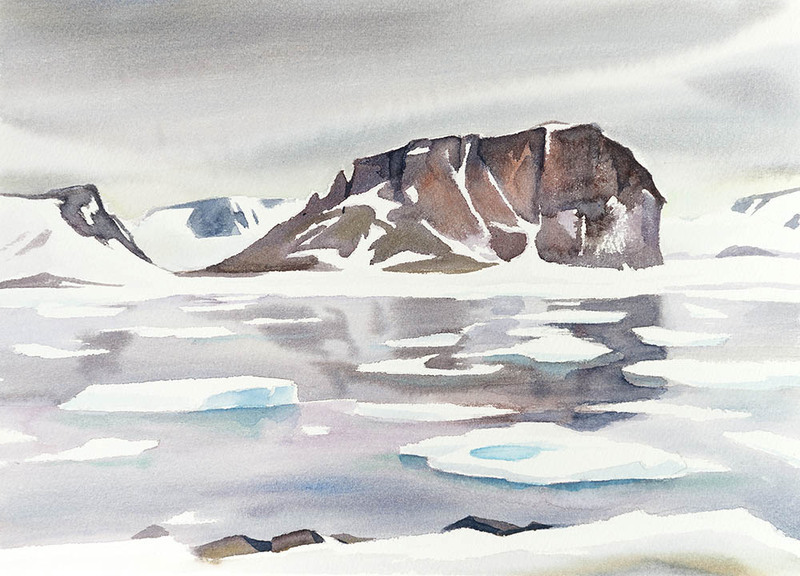 Through painting, video and photography, Canadian artist David McEown continues his long term project to document the Arctic, sharing through presentations and art shows the beauty of these remote but fragile places that are showing significant effects of climate change. For the past 15 years David has travelled by icebreaker, sailboat, and hiking boots to circumnavigate the arctic circle and has even skied to and painted the North Pole. 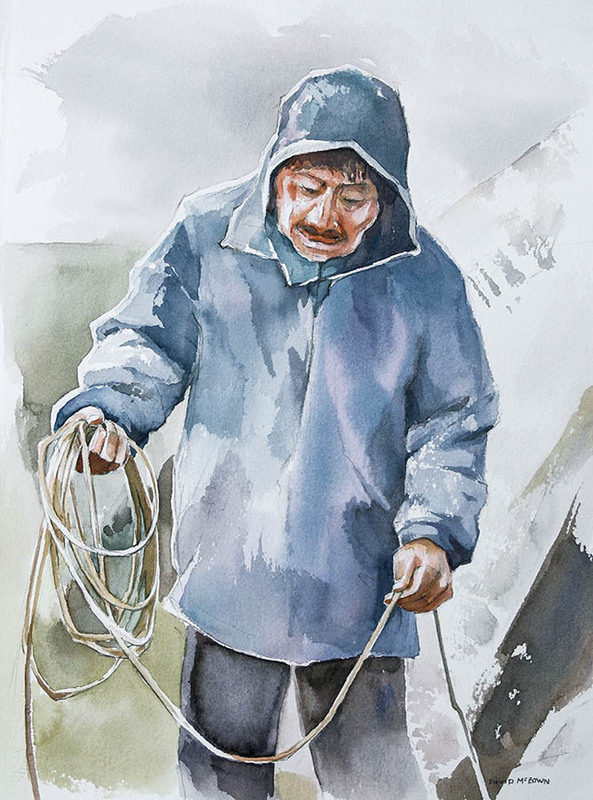 He paints on location in watercolour (watercolor) often in extreme arctic conditions improvising techniques forletting the watercolours freeze for chance effect andfrosted patterns that echo the landscape and the churning icepack. 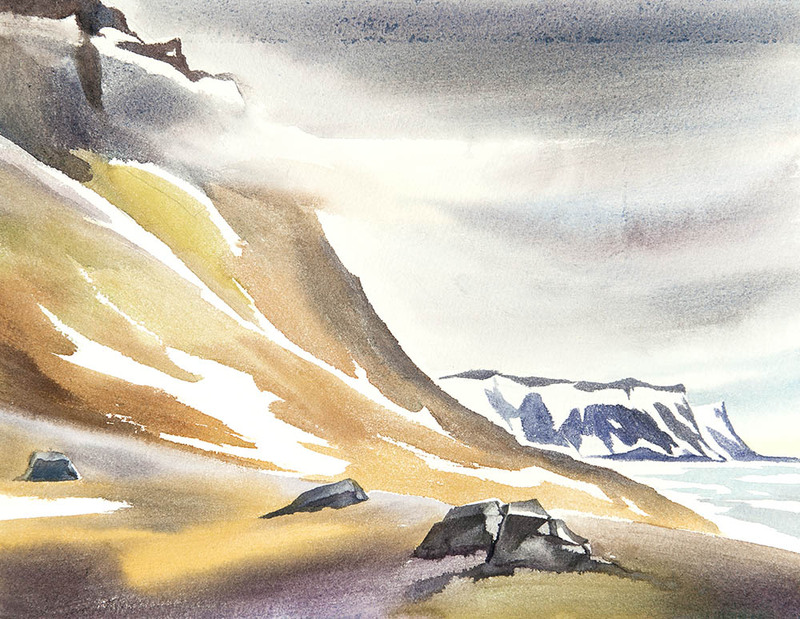 This gallery include watercolour paintings following the path through Russia’s remote Northeast Passage. 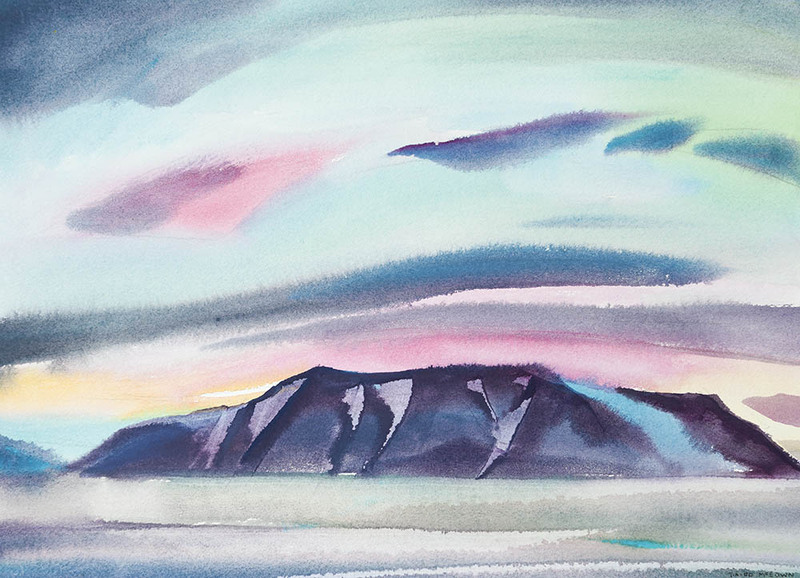 Painting locations include Yttygran Island, East Siberian, Diomede Island, Wrangel Island, Novaya Zemlya, Belkosvsky Island , New Siberian Islands , Ayon Island, Cape Dezhnev , and Siberia, Franz Joseph land, locations include Cape Flora, Tikaya Bukta, Champa Island, Rubini Rock, and the Barents Sea.